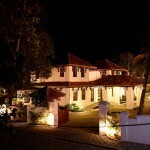 Club Orchid is part of the Wild Orchid eco-friendly community project at Yercaud. 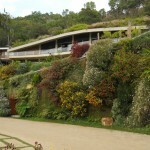 The large vertical garden and roof garden features merges the club building with the surrounding hill-side landscape. The building is designed with minimum facade and maximum inside volume, an approach opposite to most conemporary concepts. The building’s aesthetics is given least visibility, while the interior spaces seamlessly connects with the valley in front, through large glazed walls, patios and semi-covered spaces. 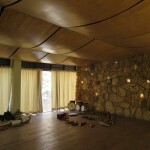 The club consists of yoga hall, SPA, organic restaurant, home-theater, heritage echo-music room, library, infinity pool etc. 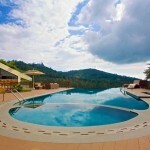 Catering to the luxury holiday property of wild orchid, the club is designed with trendy eco-features. 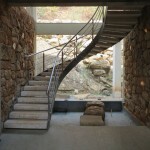 Rustic stone walls are built with inside-lit moon-quartz stones. 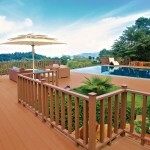 The flooring varies from wood, natural stones, oxide finish etc. 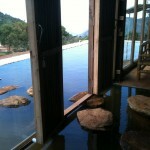 A building which is difficult to describe and a pleasure to experience. 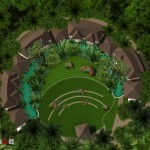 This upcoming 30 acre Eco Resort is planned with a rich tropical architecture and landscape approach. The facility will have an active recreational side and a passive, quite side catering to different seasons and client-tele. 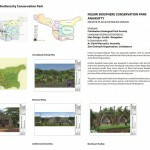 Very sensitive site planning approach deals with large tracts of open spaces of different character from dense forest patches to orchards, open gardens, tropical thematic gardens, active recreational gardens and water bodies. The cottages are stringed together by these garden spaces and character zones creating a mosaic within the campus. 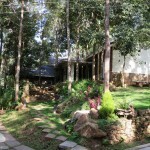 This private guest house is designed in the picturesque Brooklyn coffee estates in Yercaud. 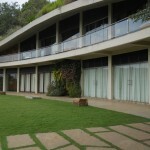 The sloping topography and lush green estate demanded a minimalistic approach to design, where buildings are mere shelters. The challenge was to reduce the elements of design so that the building lose its character and give more importance to the surrounding landscape. Flat concrete slabs float above tiny metal columns. 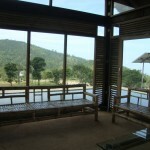 The inside and outside merge as large sliding windows connect them physically and visually. 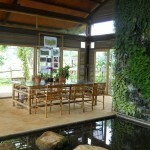 An attempt to design with nature to create spaces that are memorable landscapes. 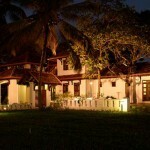 Eco Resort Yelagiri is designed in the beautiful hill station of Yelagiri in Tamil Nadu. 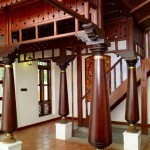 The theme of Architecture is derived from the local vernacular mud and stone architecture of the tribal settlements of Yelagiri. 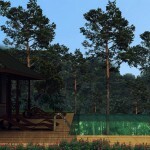 The site is an inward looking wooded estate, with a gently sloping terrain. 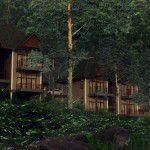 Thick vegetation and slopes studded with rock boulders and outcrops are features of the site that are preserved while planning this resort. 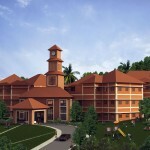 Saraswathy Vidyaniketan is one of the leading CBSE school of central Kerala. 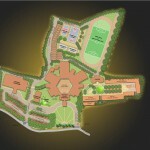 The current master plan and proposal for School’s Main Block, Auditorium and Sports Facilities aim at taking the school to greater heights in academics and sports. 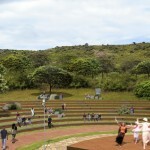 An eco-friendly approach to site planning and master plan is conceived to utilize the gently sloping terrain to the advantage of locating structures and sports fields.The blocks radiating from a central courtyard provide privacy, noise reduction and result in increased ventilation and day-light. 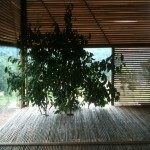 Framed structure with exposed hollow blocks is part of the eco-sensitive approach to building design. 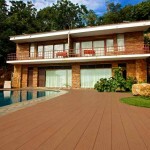 While it is helpful in heat insulation, the load of the structure is brought down thus saving on structural cost. 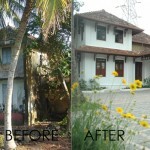 Plastering is completely avoided to further reduce cost. An elegant approach to landscape for the foreground and courtyards and an eco-friendly landscape approach to the rest of the campus is devised. 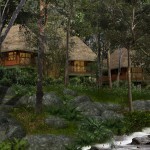 Wild Trails Resort is designed for nature living in the midst of wilderness – rocks, bamboo clubs, tall trees and thick spice plantations in the colonial hill station of Munnar. The natural character of the site’s topography, geology and vegetation is protected and enhanced while developing the design language for the resort. 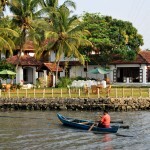 The old world colonial charm reflects through nature’s wilderness. 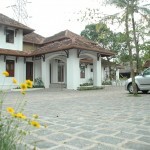 Prakriti Aawaas is an upcoming Eco Community group housing project at Kakkanad, Cochin. 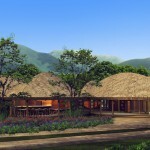 Set in prime urban location, the masterplan carefully carves out an eco-sensitive project in the valley. 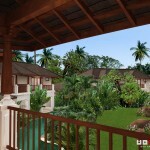 Keeping the green-mosaic as the primary concept, the layout is developed with clusters of villas engulfed in the greenery. 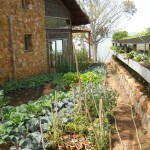 Ample yards around the villas allow organic vegetable gardens to be developed in the backside. 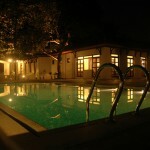 The villas are set around a large central courtyard, which contains club and swimming pool. 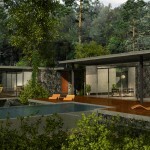 Villa’s habitable spaces are designed around a courtyard. Simple and effective planning ensures minimum wastage of space. 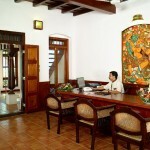 All rooms are provided with ample daylight and ventilation. 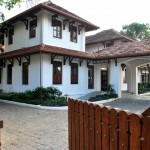 Several features such as exposed brick walls, stone masonry, courtyard, terrace garden, organic vegetable garden, verandas, balconies, bay-windows etc aims at providing a lively experience. 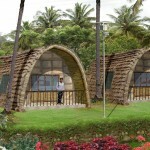 This environment friendly project office of Greenfield Shelters is perched on the exotic location on the eastern ghats overlooking the enchanting valley view. 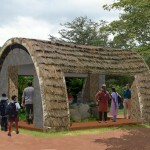 Built with reused steel frames, silver oak wood, bamboo, stone, mud and thatch it is a structure built to capture the nature surrounding it. 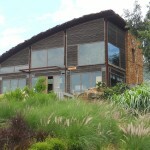 A zero energy building which is off the grid, uses biogas based generator, wind power and solar power for all its requirements. The landscape incorporates big boulders of the site in its contours. 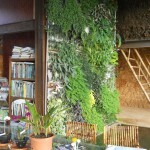 The waterbody which penetrates the building and culminates in a vertical garden wall becomes the central feature. 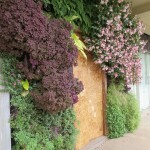 The Vertical garden itself is made of reused mineral water-bottles, stalked on metal frames and wrapped with geotextile. 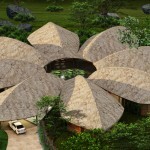 Organic vegetable garden, waterless toilets, mud-floor, bamboo floor, bamboo furniture and several other elements which exhibit strong commitment to ecological design principles. The project shortlisted for IIA National Award for Excellence in Architecture, 2016. 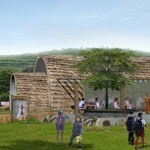 Jury Comments: The Architect has made the design to be eco-sensitive in every aspect of the project. 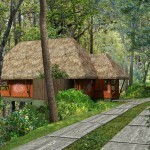 This eco-sensitive wellness centre is designed as part of the Common Facilities for the upcoming Teakayen Estates eco-friendly community project in Kodaikanal. 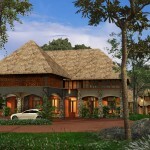 Idea Design developed the master plan for the luxury holiday project. 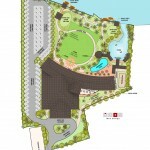 The central part of the master plan is the Wellness Centre and Central Gardens. 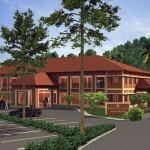 Every aspect of the design of wellness centre speaks of eco-sensitive and sustainable approach. Each of the eight wings of the lotus carries unique functional element of human wellness. Developed in the setting of one of the largest organic farms of peninsular India, organic Kitchen, yoga hall, meditation centre, naturopathic wellness, ayurvedic wellness and a wellness lecture hall etc become components of this centre. 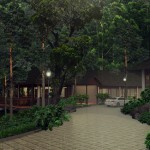 Banasura Lake Resort is an eco-friendly resort layout designed in a scenic setting at Wayanad. The 50-key hospitality project is being developed based on cluster based planning, with each cluster being self sufficient with solar power, rainwater harvesting, biological waste treatment etc. 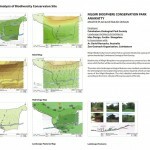 The site planning is done with minimum disturbance to existing terrain. 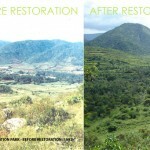 Approach to land planning and landscape design is such as to evoke indigenous landscape’s true spirit. 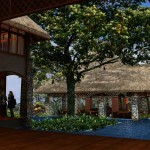 Once developed, the project is sure to become a landmark among tropical asian resorts. 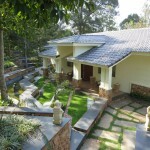 The Wild Orchid Estates sits on a naturally beautiful, gently sloping terrain of Yercaud. Flanged by coffee estates and forest lands, this property is lush green and blessed with plenty of large trees and variety of plants. 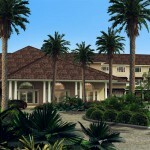 Wild Orchid Estates is planned in 40 acres of land. 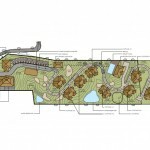 This is planned as a community project with members owning estate acres along with holiday homes. 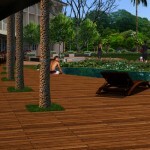 The project is planned with all common facilities for passive and active recreation. Plantation crops of coffee and aromatic plants are preserved and enhanced. 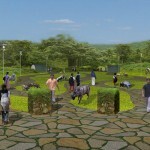 Landscape of the campus become the unifying and unique feature of the project, which attempts to exhibit the genius of the eastern ghats. 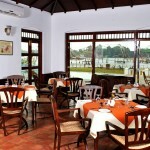 The public areas are treated with such finesse giving an international and yet natural feel. 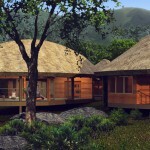 Luxury & Eco-friendly holiday villas of Wild Orchid were designed with minimum ecological footprint. 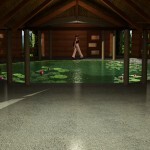 The design incorporated a seamless blend between indoor and outdoor spaces. The buildings were designed in such a way that none of the trees were cut while setting them, the placement followed the contours. 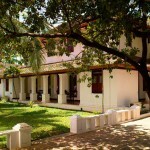 Spaces such as decks, patios, verandas and balconies connected the inside spaces with external courtyards and further with surrounding nature. 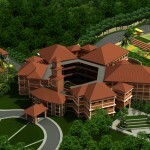 This design for a proposed club and luxury resort is done by the beautiful riverside in Kanhangad. The stunning waterfront character is preserved by reducing the footprint of the project and having an extensive riverside garden which is expressly landscaped with large lawns, swimming pool, pond, cabanas, gazebos, walkways and jetties. 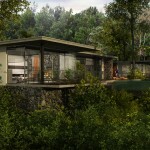 The rooms block is laid in such a way that all rooms enjoy the spectacular view of the garden and the river. 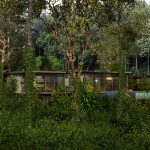 The building acts as a threshold between the urban highway-side and the quiet and serene river-side.